Raj is a well-rounded and enthusiastic 11 year-old boy with a particular interest and aptitude for drawing. Originally from the rural village of Kolkha, he now lives with his mother and father – both of whom are uneducated – and elder sister, Brinita, in Kathmandu. In 2009-2010, Raj successfully completed Grade 6, but as the next school year approached, his family could no longer afford to send him to school. With NCEP’s support, Raj is now able to continue his pursuit of education without any gaps. He is now in Grade 8 at the oldest school in Nepal, Darbar High School, which is the same school Brinita attends. 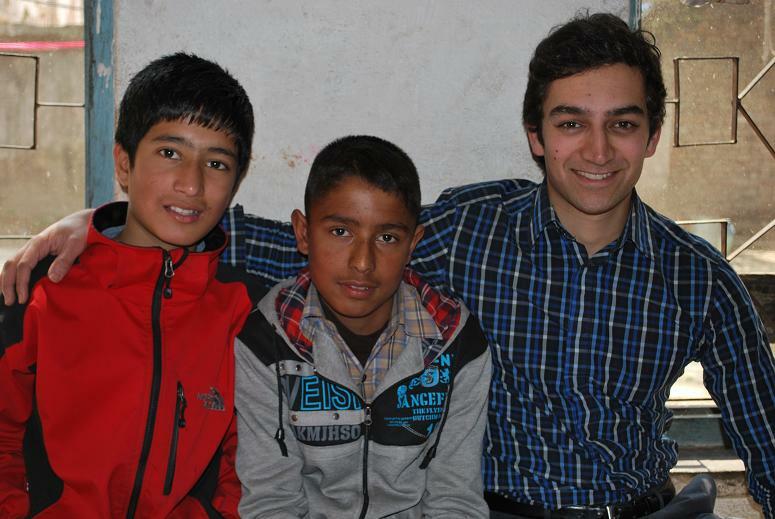 His family strongly supports his continued education, and Raj is eager to continue going to school. Furthermore, he was recommended to NCEP by a trusted teacher at Durbar High School – Puspa Bajracharyay – who has been seeking out students at the school who have demonstrated promise, yet lack the financial means to continue attending school. Puspa has since become an NCEP volunteer this year, and will be able to meet with and support Raj regularly over the course of the year. Visiting NCEP Co-Founder Sandeep (left) and NCEP Nepal Team Member Yurikaa (mid-left) visit with Raj and his father at Darbar High School. 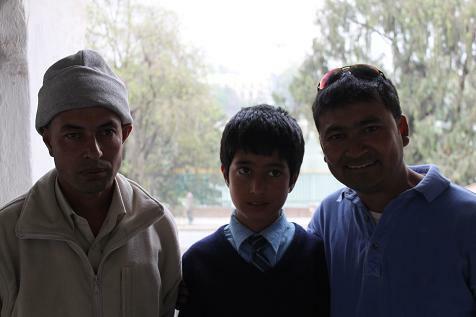 Raj and his father stand outside Darbar High School with NCEP Co-Founder Raju.